Spencer Savings Bank recently made a $30,000 donation to benefit those who suffered through the Marcal Paper Plant fire tragedy. The historic New Jersey paper plant was largely destroyed by a devastating fire on January 30, 2019. 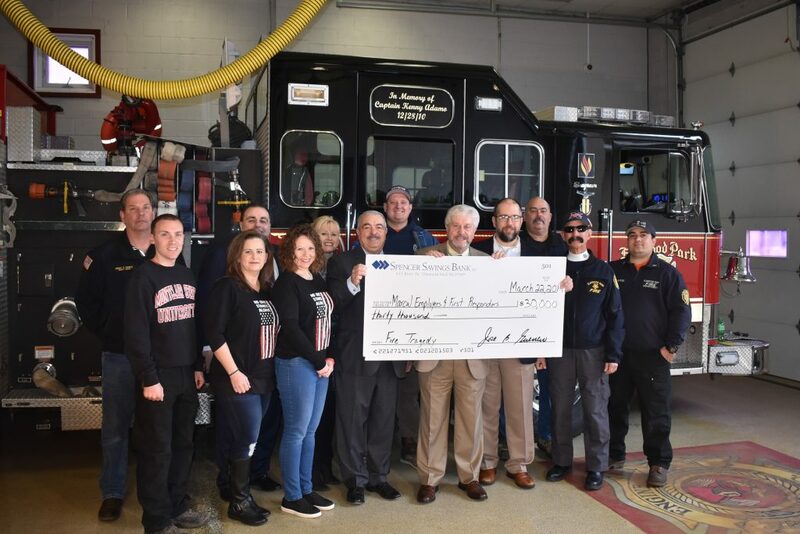 A $25,000 donation was made to the Marcal employees affected by the fire and $5,000 was also donated to sponsor a brunch, coordinated by the Elmwood Park PTO, to help honor all the first responders who fought the blaze under harrowing weather conditions. On January 30th, a massive fire destroyed the iconic Marcal Paper factory located in Elmwood Park, N.J. The company, owned by Soundview Paper Company, is one of the leading producers of recycled products and has been producing paper tissues, towels and napkins since the 1930’s. The massive fire burned about 90% of the plant and left nearly 400 workers without jobs – many who had spent years or even decades working at the company. Over 100 firefighters, many of whom were volunteers, from surrounding towns tended to the fire. They spent countless hours struggling with the fire due to the cold weather and visibility issues caused by large amounts of smoke. Over 200 workers where inside when the fire broke out and all evacuated safely. For more information on the Marcal company and how you can help, please visit them online at www.soundviewpaper.com.